COMMENTS: When the plant ages, some of the leaves may dry up. 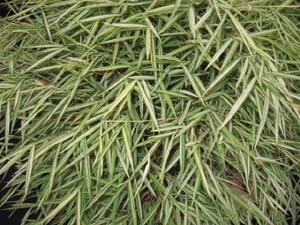 This easy growing grass will make a very elegant container plant. 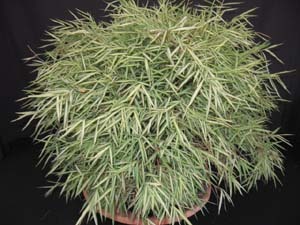 The stems and leaves will form a small clump resembling that of a delicate miniature bamboo. It is ideal for oriental looking arrangements. 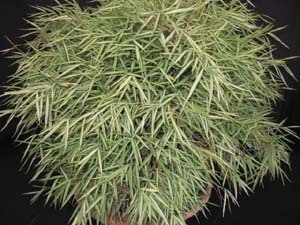 It is also known as Baby Panda Bamboo. This is not a real bamboo. Click to check price and availability.